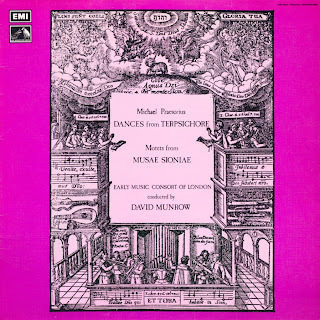 This work, in a single movement, was commissioned by David Munrow, Oliver Brookes and Christopher Hogwood for first performance at a concert at the Purcell Room on 20th February 1971. Its starting point was a series of chords playable on the treble recorder with an extra one played on a stopped descant. The expressive range of the instrument is thus extended and modern techniques of sul pont, col legno and others are applied to the gamba. I collaborated with the players in investigating these possibilities and found this most rewarding. Like Transformations, an orchestral work heard at last year's Cheltenham Festival, Translations is in five main sections. The first and last sections are slow and employ the least familiar aspects of recorder and gamba, a kind of frame for the whole work. The second section is an Aria for recorder and gamba, (a simple tune like a Satie Gymnop?die) which is in conflict with a gamba cadenza and gradually gives way to cadenzas all round. An isorhythmic dirge forms the centre of the work but it breaks off for a kind of jazz fugue which gradually turns into the Aria in simple form, although interrupted by the harpsichord. Recorder and gamba play in a quiet coda which recalls the distorted sounds of the opening.